It’s not that I’m trying to be healthy when I eat a salad, they just taste SO GOOD to me!! 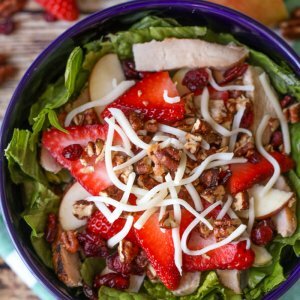 I mean, we all know that most salads come with a very UN-healthy salad dressing, which is usually my favorite part, but I love to try out new salad recipes and especially love it when they have a house dressing to go with it. 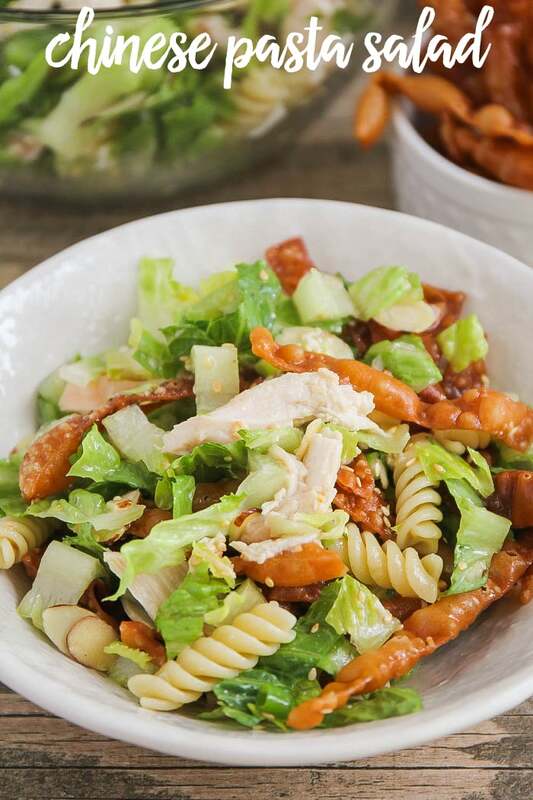 I do like my ranch and Caesar dressings, but I LOVE a custom dressing that especially made for a salad, just like today’s creation. 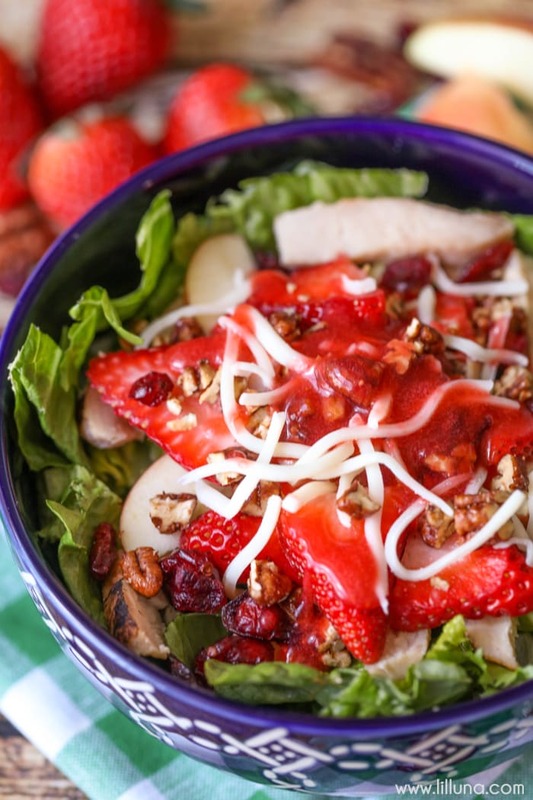 Strawberry Harvest Salad - tastes just like the salad at Zupa's! 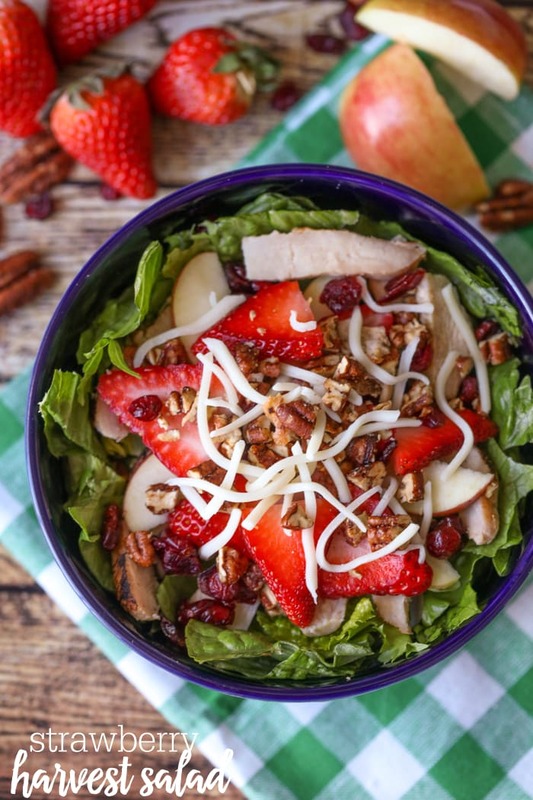 It's topped with apples, strawberries, chicken, candied pecans, cheese and a homemade Strawberry Vinaigrette dressing. 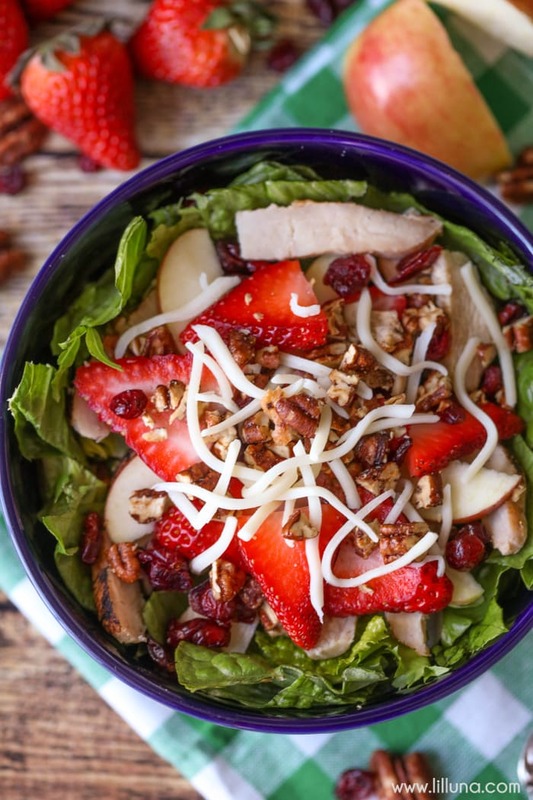 Add the greens to the salad bowl and top with chicken, apple slices, strawberry slices, craisins, Mozzarella cheese and candied Pecans. 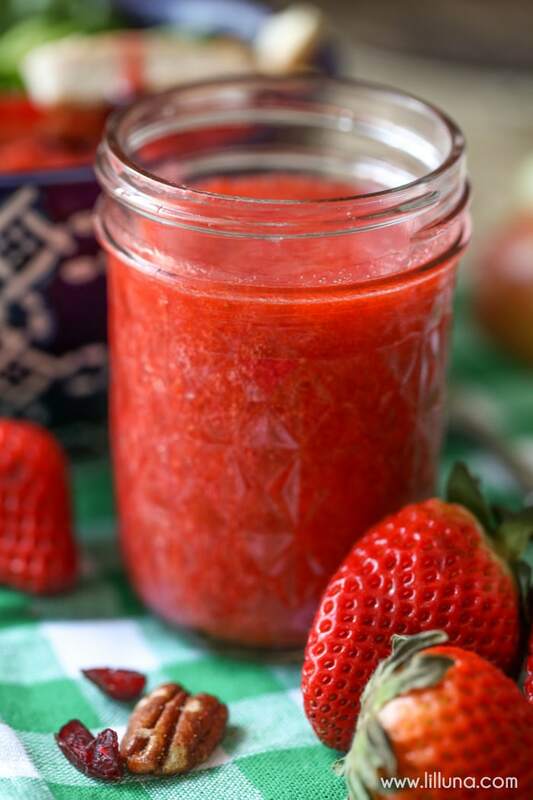 Make dressing by blending all the ingredients in a blender or food processor. 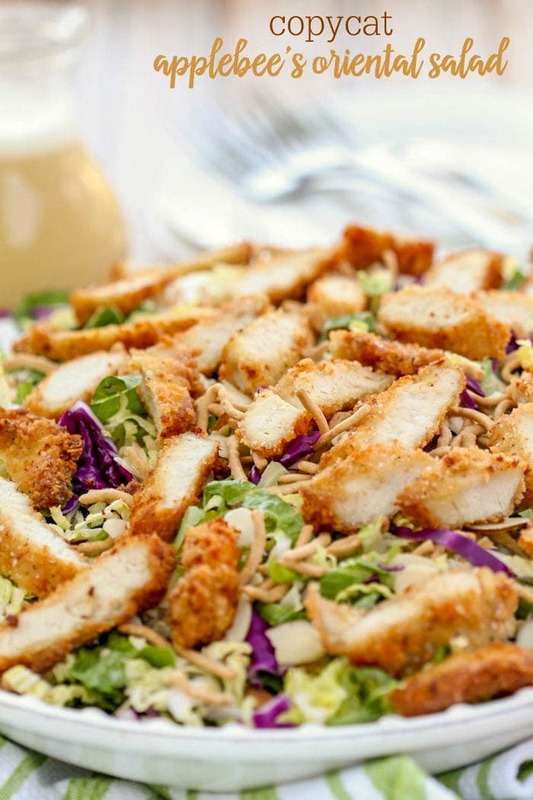 Add dressing right before serving. ENJOY! 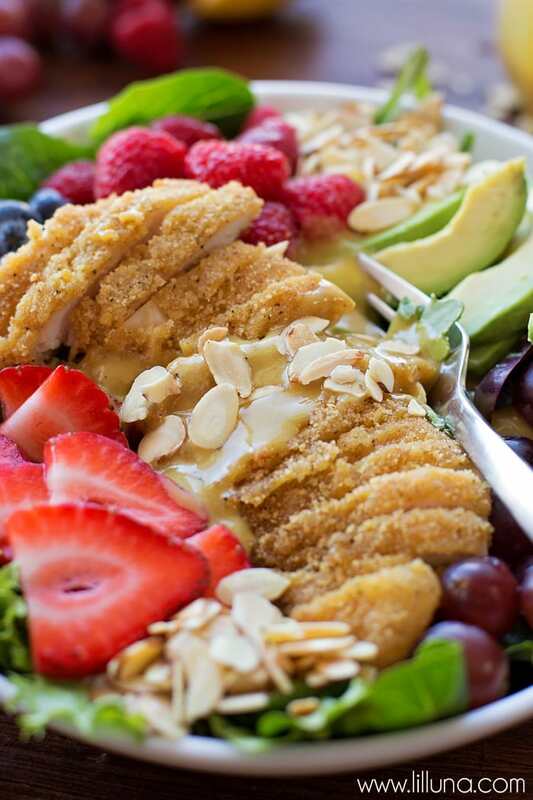 I truly believe you’ll love this recipe. It’s just so good and simple!! Thank you for trying it!! I hope you like it! I am so glad you think so!! Thanks so much!